We have been delivering professional scrubbing, hard floor cleaning, jet washing, polishing, sealing, along with anti-slip protection and tile recoat service to the homes and businesses in the entire High Street E17for more than ten years. Excellent Carpet Cleaning is well known for its top quality hard floor cleaning and polishing services. We have a increasing number of customers who rely on our domestic and commercial hard floor maintenance services. All of our cleaners are insured, experienced and trained. We use only Prochem authorized cleaning solutions, which are totally safe for animals, humans and for the nature. Our cleaners come prepared with the latest technology for pressurised cleaning, emulsification, heat,, and effective capture of the waste materials. A specialized vacuum cleaner is used to clean the hard floor surface from any dust and debris. Any old sealant is eliminated with qualified floor polish stripping and sealant removal techniques. All dull spots, watermarks stains, and micro scratches are pre-treated and then a spray or other solution is used for the cleaning and buffing of your flooring. 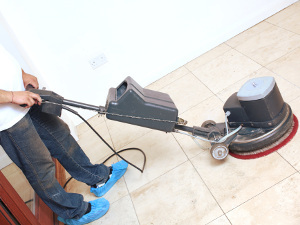 During the stone or wood cleaning, any surface soiling is carefully eliminated. The cleaner could need to rinse, scrub and dry the hard floor. Once the floor and grout surface have been properly cleaned, ongoing protection is gained with an impregnator to keep it covered from soiling and staining. Our cleaners can clean your outdoor hard floors via jet washing. We deliver high quality: patio cleaning, driveway cleaning and pressure washing. The exterior cleaning contains - decks, paths and drives. So, no matter what kind of hard floor you currently have. If you are in High Street E17and require a competent jet washing and hard floor cleaning service, call us! Regardless how damaged and how bad the condition of your hard floor is, reserve our hard floor cleaning and jet washing services and you will be amazed with the final results! Just contact 020 3404 0500 or send us an online order below. Our customer care operators are there for you, so you will quickly be receiving a written confirmation for the booking. We can offer you same day cleaning, but we are as well available every day. We need no downpayment for booking also. Our rates are set, with no hidden charges. We prize clients who book more than one of our services at a time with great discounts. Those who book early on, frequent customers, companies and property owners will receive preferential rates for all of our services. Don’t wait - book our jet washing and hard floor cleaning service right now!